June 2016 - jxeeno™ blog. The company responsible for building the National Broadband Network has updated its rollout schedule, revealing wide ranging delays of over a month in 105 multi-technology mix (MTM) rollout areas around Australia, affecting around 290,000 premises. 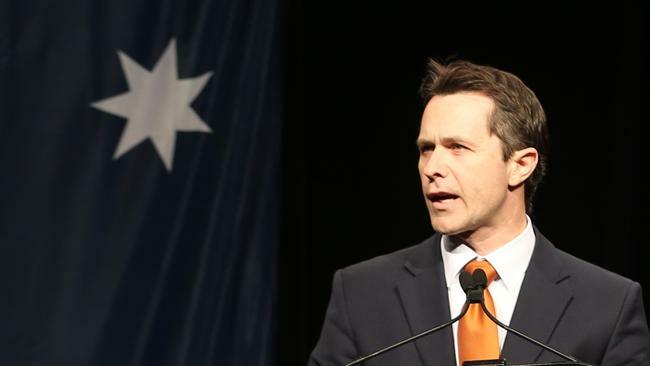 These rollout areas predominantly uses the Coalition’s preferred Fibre to the Node (FTTN) technology, where the company rolls out fibre to the neighbourhood and reconnects with the existing copper to the home. Despite promising rollouts using the FTTN technology to be faster to complete, the company had reportedly been facing issues including slow rollout design approvals from power companies who will have to power the nodes in the streets. The reasoning behind the latest set of delays is unknown. The areas worst affected by the delay are Cygnet in Tasmania and Mornington in Victoria, with a delay of 8 months shifting completion dates from late 2016 to mid 2017. The is followed closely by another rollout area in Mornington, Victoria as well as South Hobart and Margate in Tasmania and Garfield in Victoria with delays of between 6 and 7 months. 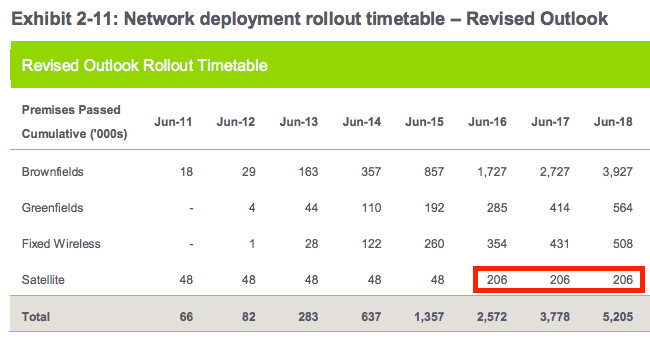 The rollout in Fletcher, NSW and suburbs near Claremont, Hobart, Tasmania have been set back by around 5 months. Another 8 rollout areas, covering around 22,400 premises in parts of Victoria, Queensland, Western Australia, Tasmania and New South Wales have been delayed by 4 months. For a full list of affected areas, refer to the table below. Another 22 areas, not listed below, were delayed by less than a month. Analysis based on NBN Co’s rollout schedule, reproduced by Telstra on the Telstra Wholesale website. A variety of sources were checked to confirm this information. Why is HFC and FTTN still in Labor’s NBN? The Labor party today released its NBN policy, just three weeks out from polling day. The party has pledged to ensure around 2 million more homes and businesses will get Fibre to the Premises (rather than Fibre to the Node) — but will retain the HFC portion of the network. I’m keeping it brief today because of exams… but one may wonder why the Labor party will not also pledge to move some of the HFC premises to Fibre to the Premises. 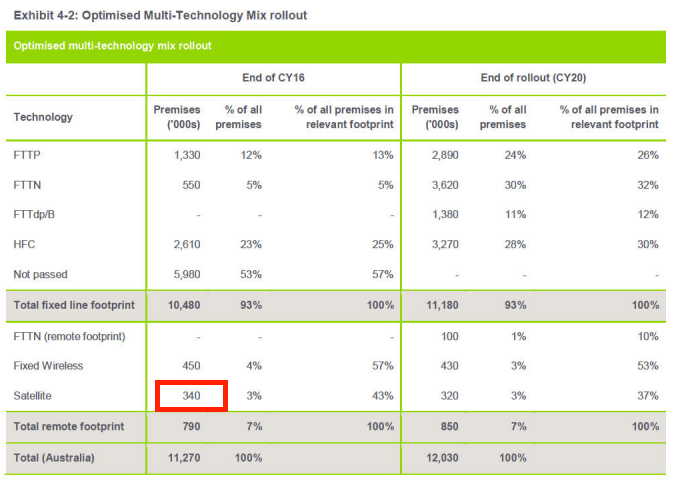 Further, why only shift 2 million premises to fibre? That’s because of one word: contracts. NBN has already signed numerous contracts with various vendors and companies. Most recently, a $1.6 billion dollar contract with Telstra to rollout the HFC network. Previously, a $400m contract with ARRIS to provide the equipment for the HFC upgrade. Not to mention, all of the capital that has already been spent on building out the HFC IT systems (OSS/BSS). In addition to this — the NBN company, under its Definitive Agreements with Telstra, must also retain ownership of the entire Telstra HFC network as soon as they switch on a single HFC-connected premises. That’s expected to occur within the next few weeks. So even if the Labor party did pull the pin on the HFC network, not only will the NBN be liable for terminating contracts worth billions — it may also have to maintain a network HFC network (with Foxtel will continue to use) effectively for free even though NBN themselves won’t use it. Now that, would be absolute absurdity. Estimates puts the build contracts signed by the end of July 2016 to be ~2 million premises (according to the leaked November 2015 IDP). The last corporate plan puts the number of FTTN/B premises by the end of 2020 to be 4.5 million, leaving 2.5 million premises available to be switched to the Fibre to the Premises model. Being able to switch turn around, complete new all-fibre network designs and sign contracts within one month would be wishful thinking. This gives them around a 0.5 million premises buffer (mind you, that’s only gives them until October 2016) to turn around new designs and begin signing contracts or risk further delays. Fortunately, there is no need to renegotiate the definitive agreements with Telstra and Optus again. However, I’d still characterise the 2 million premises FTTN to FTTP shift as an “optimistic target”. Good luck with the 4 month turnaround. It’s possibly the height of hypocrisy. The Government who led the charge to remove fixed-line communications in thousands of homes and business in Tasmanian West Coast communities is now “announcing” that they’re rolling out Fibre to the Node (FTTN) and Fixed Wireless networks in the townships of Queenstown, Rosebery, Zeehan and Strahan after massive community backlash. Queenstown, the largest of the communities, already has existing fixed-line infrastructure including ADSL2+ and 4G mobile connections provided by Telstra. The initial commitment by the former NBN-management was to rollout Fibre to the Premises (FTTP) to Queenstown, Rosebery and Zeehan. This later changed to Fibre to the Node (FTTN) when the Coalition’s preferred Multi-Technology Mix model was introduced. However, jxeeno blog’s analysis of the 18 month construction plan last July showed these areas were removed from the Fixed-Line rollout schedule. It was later revealed in a Senate hearing that these towns were permanently removed after from the fixed-line rollout in favour of the long term satellite service. 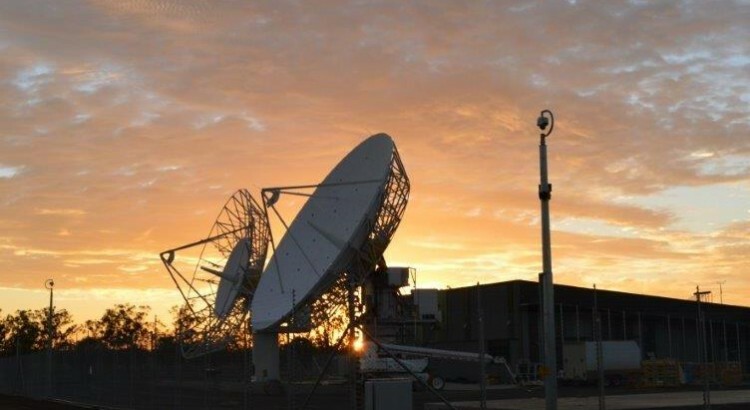 This is despite the Coalition’s initiated Strategic Review modelled that the satellite beam servicing west coast Tasmania will likely be “severely oversubscribed”. Up until this week, Queenstown remained the largest suburb covered entirely by the Long Term Satellite Service — originally intended for remote communities. After strong community resistance arguing that their “new” national broadband network connections will be worse than their existing ADSL2+ services (in terms of latency and data allowances) and continued questioning by Tasmanian Labor Senator Anne Urquhart in various Senate hearings — it looks like for once, politics and community resistance has finally made a difference to the National Broadband Network’s so-called Multi-Technology Mix. Now only if the broader outcry for reforming the Multi-Technology Mix is heard. A few people have written in about the CBD Increment since my blog post went live this morning. 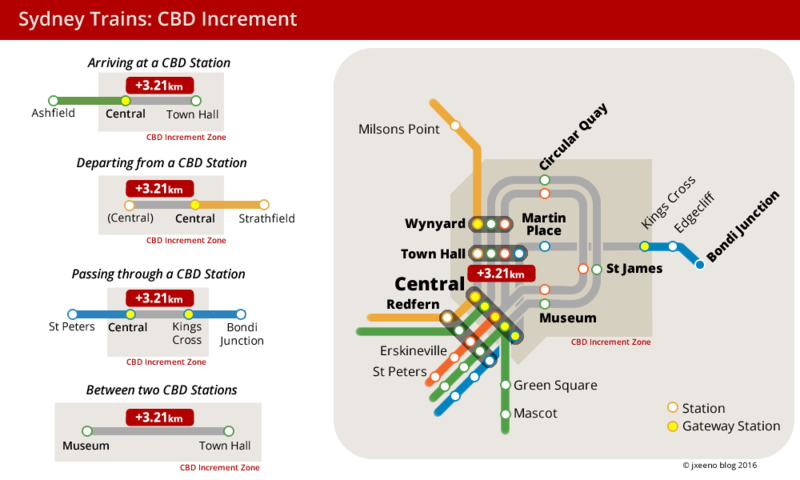 As it turns out, this CBD increment is “well documented”… in a 107 page handbook known as the Sydney Trains and NSW Trains Fares and Ticketing Customer Handbook. I’ve tried looking all afternoon, and cannot find a link from either the Opal website nor on any portion of the Transport for NSW website discussing Opal or fares generally. It is, however, linked to from the Terms and Conditions page about paper tickets. For those curious, the direct link can be found here. The part you’re looking for is page 74. Basically, any train trip that traverses through or starts and ends at a CBD station (Central, Town Hall, Wynyard, Circular Quay, Martin Place, Kings Cross, St. James and Museum Stations) will incur an extra 3.21km distance in their trip. If you’re travelling from Macquarie University to any CBD Station, you will be charged the fare distance from Macquarie University to Wynyard (the Gateway Station for via Sydney Harbour Bridge) plus the extra 3.21km increment. If you’re travelling from North Sydney to Newtown, you also have to add the increment. 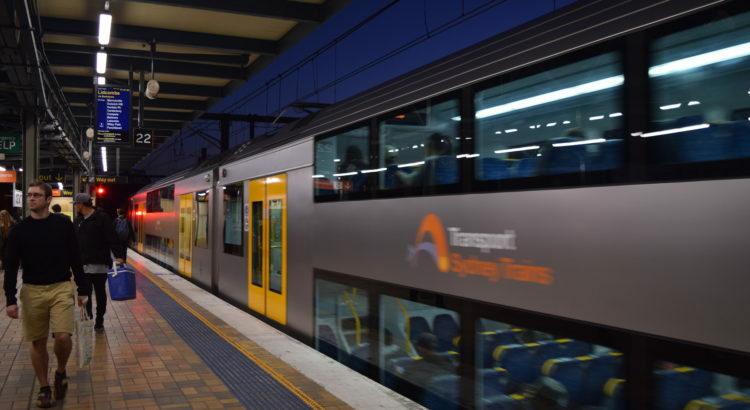 You will be charged the distance fare from North Sydney to Wynyard (the Gateway Station for via Sydney Harbour Bridge) plus the extra 3.21km increment. In addition, you will pay for Central (the Gateway Station for via Redfern Station) to Newtown. Note, that the increment is only charged once. The idea behind the CBD increment is so that periodical tickets (e.g. weekly tickets) can be sold as a “city ticket” meaning passengers can get off any any of the CBD stations with the same ticket. However, this doesn’t make sense for the Opal system where fares are advertised on a distance basis. It’s misleading and disingenuous to advertise that Opal train fares are based on “track distance” when in fact, it’s based on a psudo-distance hidden away in a 170 page handbook. A suitable analogy, in my opinion, is a grocer selling apples and oranges at $3.99/kg. However, hidden away in a 107 page handbook, the grocer says that oranges incur an extra 1 kg increment that can be found the aisle that sells milk. Surely, this is considered misleading advertising. Like the grocer, Opal advertises different fares based on track distance bands with no reference to this psudo-distance calculation. Like the grocer, it hides the CBD increment in a lengthy handbook stored in a part of the website that doesn’t talk about Opal fares. Does this mean that CBD Opal fares constitute as misleading advertising? While I personally don’t mind to pay extra for travelling through the busy CBD area, I think Transport for NSW needs to be transparent about it. Fiddling with the distance travelled certainly doesn’t look great. Just my two cents. Keen to hear people’s thoughts. Update: we now know how TfNSW calculates this increment… but there are still massive problems. If you travel to and from a CBD station using an Opal card, Transport for New South Wales (TfNSW) may have been charging you a little extra every time you tap off. I came across this issue after finding inconsistencies with distance calculations when building my Opal calculator, a easy-to-use tool to compare current Opal fares with those set to start in September. To my surprise, after exhaustive research, I’ve been unable to find any mention of this “CBD Increment” on the Opal or TfNSW website. Reaching out to TfNSW to enquire about this, they seemed just as baffled as I was. After two phone calls, no one thus far has been able to explain to me what this CBD Increment is for, or how much extra distance is being added to each CBD trip. Although, they have promised to escalate my issue and come back to me with more information (this was two weeks ago). What I know for sure is that this increment does exist. Having tested a few trips myself for research, it appears the distance increment is quite random. Note: these are a small selection of trips selected to test the CBD increment. It is not an exhaustive list of stations which are affected. Track distances are based on track information provided by TfNSW through its Open Data exchange. Prices listed are Adult peak fares. Some trips with track distance within the tolerances listed also appear to be unaffected by the CBD increment. I’m unable to to discern a pattern at this point in time. A trip from Ashfield to Town Hall (a CBD station) has a total track distance of ~9.6 kilometres — just shy of the 10 kilometre fare band which will cost $3.38 for an Adult during peak time. However, when travelling on the train between these two stations, TfNSW charges for the higher 10–20km fare band, costing $4.20. Despite IPART’s recommendation, Transport for NSW has not indicated whether or not it will retain the CBD increment when the proposed fare changes come into force in September. I’m still awaiting a response from TfNSW about my enquiry about this existence of this ‘CBD increment’. Let’s see what they say if and when they respond… I’ll update this post when that happens.